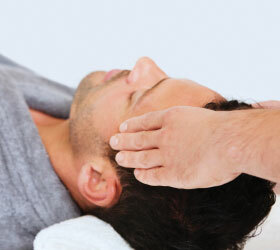 This type of massage involves light touch around the spine, skull, cranial structures and fascia. The theory behind this technique is that when spinal fluid is blocked, an imbalance in the body can occur, resulting in emotional and physical problems, as well as improper functioning of the central nervous system. Craniosacral bodywork - which focuses on the receiver's face, head and neck - is said to encourage optimum flow of spinal fluid. This method is used to treat emotional stress, neck and back pain, migraines and chronic pain, including fybromialgia. Minor health concerns can often be treated in a few sessions.